Take a Journey through The Multiverse! Read The First 10 Pages FREE! When Alphatron mysteriously crashes on a foreign planet without a ship, he is quickly found and seized by some of the planet’s native residents, Ozguardians, who worry that Alphatron is a hostile. 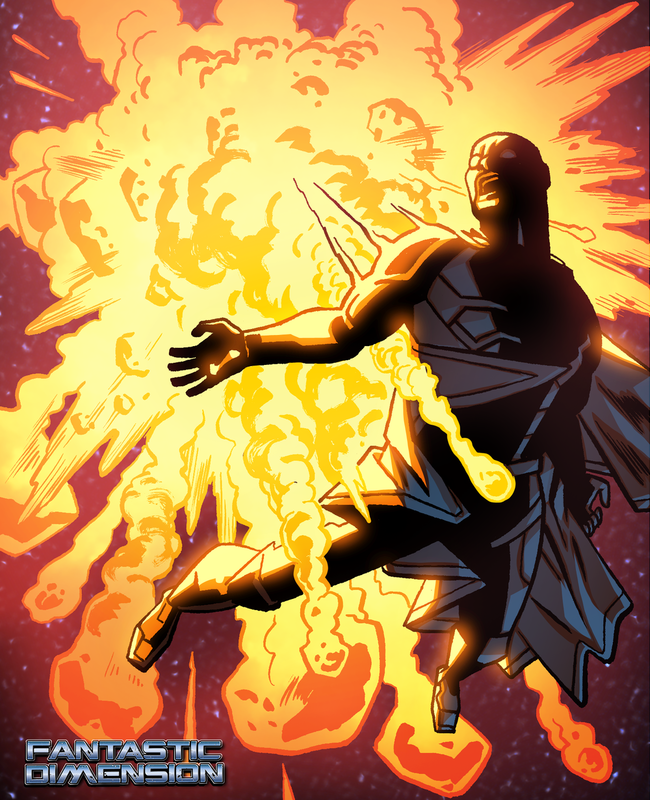 Years prior, a humanoid, Ka’Lamus, arrived in a similar manner then staged a violent insurrection. The Ozguardians are still fighting his sinister rule. Suffering from amnesia due to the trauma of traveling between dimensions, Alphatron agrees to help the native Ozguardians fight their war in exchange for their help in determining who he is and where he came from. Click here to read the first ten pages! 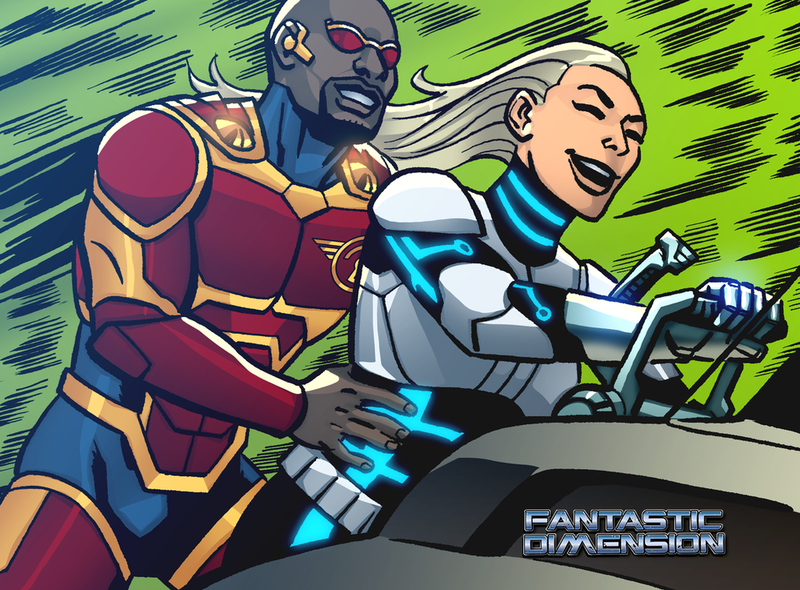 Fantastic Dimension is an epic fast-paced, sci-fi, action-adventure series that follows the exploits of several heroes that span across time, space, and the multiverse! Contact Us For More Info On This Exciting New Series! 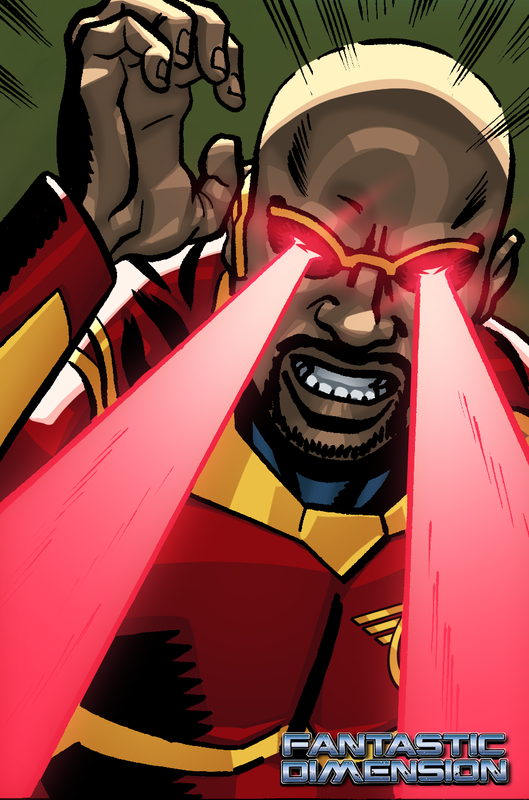 Fantastic Dimension is a series of concurrent stories which focus on a character named Alphatron who faces impossible circumstances to become an inter-dimensional hero. During his journey, he discovers new worlds and meets amazing beings, some friend and some foe. Eventually he will band together with new found allies from parallel dimensions, many also with strange abilities, to fight a great evil that not only threatens the existence of his world, but all worlds in existence! 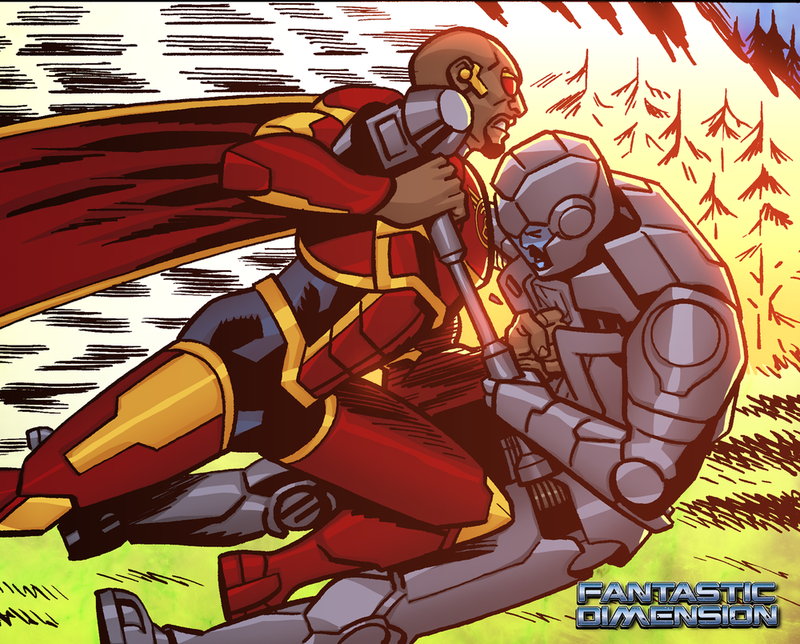 Fantastic Dimension is a timeless, fast-paced science fiction superhero epic that has numerous possibilities with story and characters by exploring themes of justice, liberty, hope, love, family and validation. Being a brand-new universe of characters and stories, this Intellectual Property will be meeting a market demand for new, fresh, and original content. This television series pilot project will be able to take advantage of the growing popularity of the superhero genre in TV and film, as well as the ever-growing popularity of storytelling through animation. Jerry McClellan Sr. is a multi-talented professional working within the creative industry. He has earned a Bachelors in Communication Arts from Loyola Marymount University. In addition to writing, Jerry currently works as a Web Designer/Developer for a tertiary educational institution in Southern California. Jerry has been a fan of animation for as long as he can remember, and fell in love with 3D animation at a young age from his first exposure to an old Saturday morning series called ReBoot. He is also a fan of comics, and a huge fan of the DC Animated Universe! Jerry has always had a knack for writing, even starting his own blog years ago. This lead to a growing fascination with writing for animation. After realizing a growing demand for fresh, new, minority characters in the sci-fi/fantasy genre, along with the growing popularity of the superhero genre, Jerry felt it was time to create a new universe of characters that would meet these demands, Fantastic Dimension was created. He has worked on Fantastic Dimension for over seven years now, regularly expanding the universe and adding new, interesting, and compelling characters. At this point there are well over 50+ diverse characters within the Fantastic Dimension Universe, and still growing! 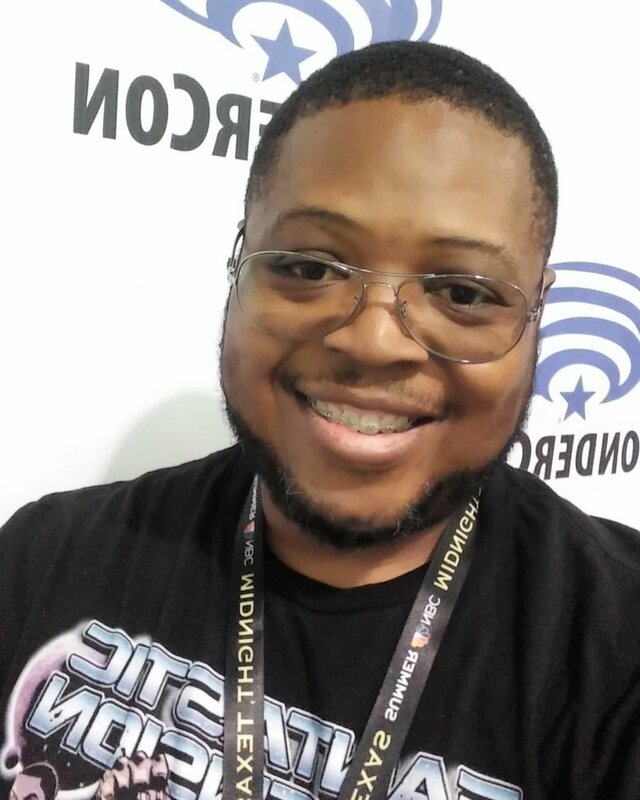 After sharing the Fantastic Dimension script and slate of characters with MPMG and Outland Entertainment, they agreed to work with Jerry to help develop a graphic novel and animated series for television to bring the entire Fantastic Dimension Universe to life for the rest of the world to enjoy! Over the years Jerry’s career has spanned across many industries, starting as a freelance graphic designer, he has worked in newspaper advertising, direct mail marketing, packaging design, automotive advertising, real estate marketing, and real estate investment, with several years in talent management as a talent recruiter and acting coach. Filling various roles from graphic designer, art director, and marketing consultant to copywriter/copy editor. His many clients and employers have always found him to be an easy going, hard working individual who works well in high-pressure environments and excels at taking the lead of a project. Along with being a busy husband and father of two, Jerry has also provided charitable work such as free creative web services for the South African Well Project; He also volunteers with the West Los Angeles C.O.G.I.C. prison ministry, bringing fellowship and encouragement to inmates seeking a second chance.